The mission of the Lutheran Women’s Missionary League (LWML) is to assist each woman of the Lutheran Church Missouri Synod in affirming her relationship with the Triune God, so that she is enabled to use her gifts in ministry to the people of the world. All communicant female members of Peace Lutheran Church are considered eligible members of Peace Lutheran Mission Guild-LWML. The Peace Mission Guild meets monthly from September through May on the second Monday of the month at 6:30 pm. The meetings consist of activities to promote growth in Christian knowledge and fellowship. To further support the program and objectives of the LWML and promote Christian service there are scheduled Mission speakers and human care projects. Socials are held at 6:00 PM in September, December, and May for fun and fellowship and all ladies of the congregation are invited to attend. In addition to the monthly meeting there are activities throughout the year. On a quarterly basis at both church services there is a “Mite” collection. This monetary collection is based on the story of the widow’s mite in that we give our thankful offerings to help fund mission work within the South Wisconsin District and the mission grant projects of the National LWML. Additional opportunities include volunteering to visit sick and shut-ins, serving on Altar Guild, or preparing/and or serving meals for funerals at Peace when requested by families. The Lutheran Women’s Quarterly is a publication that can be found in the church library. t contains Bible studies, mission stories, and LWML happenings throughout the nation. Also included are articles on “Friends Into Serving Him” which are geared to the 13 to 17 year old group. Monthly LWML news is also published in the church newsletter. All women of the congregation are welcome to participate in LWML as it is truly an opportunity to partake in Christian fellowship, share our time, and our talents. If you are interested in becoming an active member of Peace Mission Guild, ask the church secretary for the name(s) of our current LWML officers. The Lutheran Women’s Missionary League (LWML), with a membership of over 250,000, is the official women’s auxiliary of The Lutheran Church-Missouri Synod. 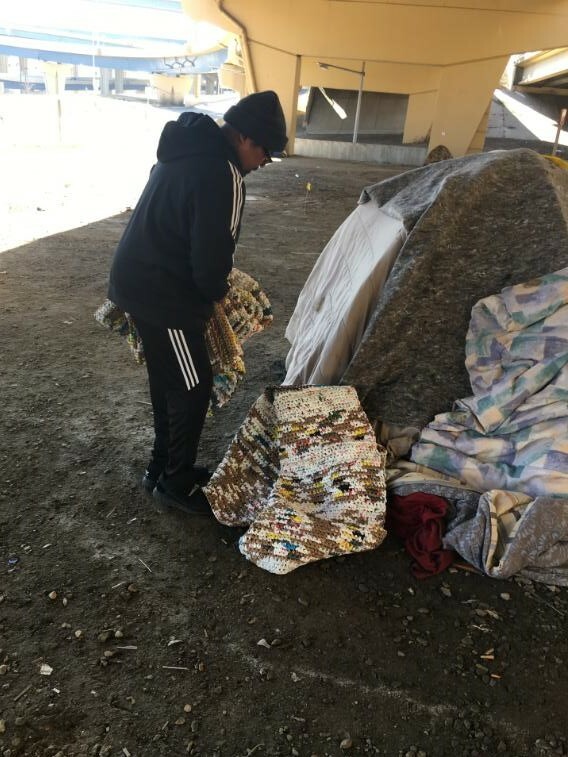 South Wisconsin District(SWD) Lutheran Women in Mission (LWML) created plastic sleep mats for distribution to the homeless in Milwaukee through Rev. Chris Ikanih who serves at Bethany Lutheran church in Milwaukee. Mission service bring joy to women who Serve the Lord in gladness.